Dama wallabies, in the wild are usually solitary or in pairs. When I visited the wallabies at the zoo they didn't want to seem to interact with one another. They are mostly very solitary animals. The only social groupings are between the females and their young. predators. 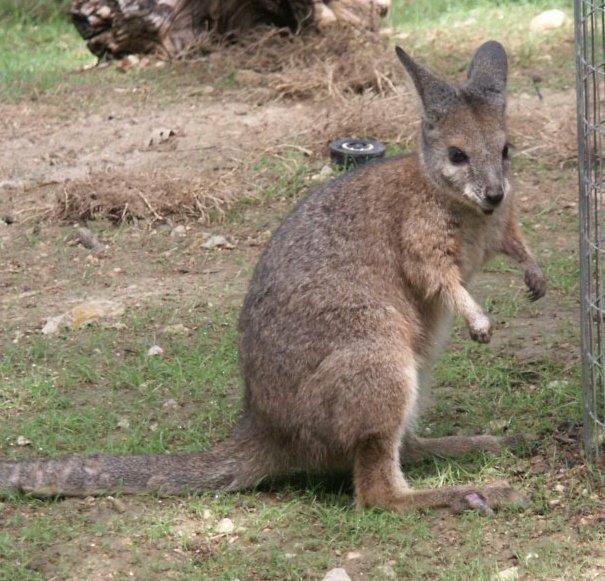 Dama wallabies are also known to be kept as pets because they are small and fairly easy to keep. They can live up to 28 years in captivity and up to 18 in the wild. 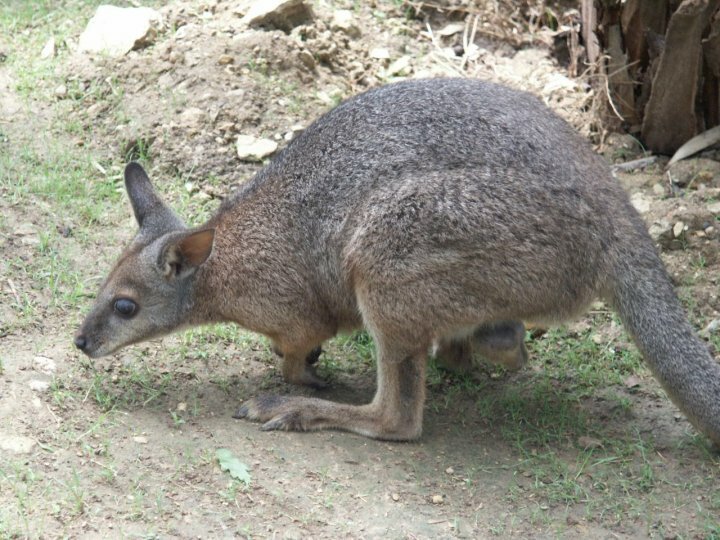 An unusual trait about the Dama wallaby is that it mostly sits on its tail. Instead of the tail dragging behind like most animals, the Dama wallaby sits on its tail with it being straight in front. When I visited the Dama Wallaby at the zoo there were three in the exhibit. Two were resting and one was eating. They seemed like very calm animals, but did not interact very much with one another. Graves, Eleanor. Kangaroos & Other Creatures from Down Under. USA: Time-Life Films, 1977. Storer, Tracy I., "Wallaby." Encyclopedia AMERICANA International Edition. Connecticut: Grolier Incorporated, 1989. "Wallaby." Encyclopedia Britannica. 1987 ed.